Correcting a construction error. The builder didn’t insulate the garage ceiling, but Triple H Home Efficiency Experts can do the job quickly and affordably by installing dense-pack cellulose. Exterior siding is replaced after the blown-in installation. If you want to improve your garage insulation, call the local experts at Triple H Home Efficiency Experts today. We provide complete insulation solutions for homeowners in Brookhaven, Islip, Huntington and the surrounding areas. When a house is built, the common wall and ceiling between the garage and the home's living space should be air-sealed and insulated. However, builders sometimes skip this step. Triple H Home Efficiency Experts can inspect your garage and correct garage insulation problems. SilverGlo™ rigid foam insulation installed by the experts at Triple H Home Efficiency Experts, can provide insulating and air sealing value superior to other types of garage insulation. SilverGlo™ offers high R-value, durability (it won’t compress like fiberglass) and immunity to mold and moisture damage. Plus it has an integral radiant barrier for additional energy savings. Triple H Home Efficiency Experts are the local insulation experts you need for all your garage insulation problems. 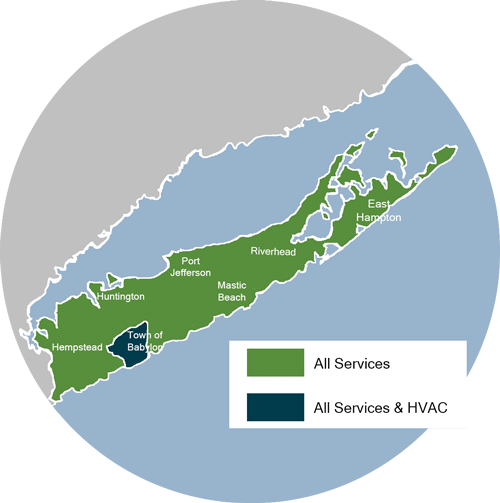 Call us today at 1-866-977-6917 or fill out the online form to schedule a free estimate for garage insulation in Brookhaven, Islip, Huntington, Smithtown, Huntington Station, Bay Shore, Brentwood, West Babylon, Ronkonkoma, Central Islip and throughout the surrounding areas.